Plays on any personnel (except Suna) if you have Treachery>Honor present. Changes one regular skill to any other regular skill. Any player may cure with 3 Empathy present. OR Plays on and captures an opposing personnel affected by Frame of Mind. (If rescued, discard objective.) 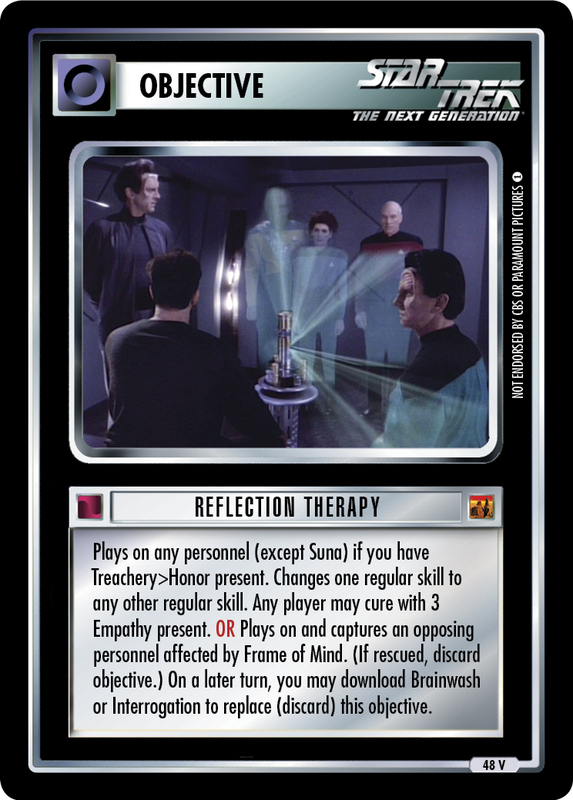 On a later turn, you may download Brainwash or Interrogation to replace (discard) this objective. Image Source: The Next Generation: "Frame of Mind"